For those wanting to see history in its context, Nichols also provides a sampling of primary source materials. It is an engaging read that will remind readers of the foundational truths that can never be taken for granted by the church in any age. Includes numerous illustrations. 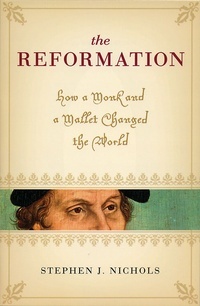 The book has eight chapters covering Luther, Zwingli, the Anabaptist, John Calvin, the British Reformation, the Puritans and the women of the Reformation. He even points out things that are frequently not mentioned or considered in overviews of church history. Nichols decision to focus on lesser known (or misunderstood groups) like the Anabaptists, puritans and women brings people who are frequently lost in the shadows of Luther, Zwingli and Calvin into the light of history they deserve.